Are there really the ‘best ports’ per say in Southern Turkey to charter a yacht from? Not really. The best port is all dependant on what you and your group’s expectations are in places to see and things to do. Another reason that a certain harbour could be the best one for you is airport transfer time. While some travellers fly a few hours to reach Turkey with a direct flight or quick connecting flight from Istanbul, others could travel up to a full day or longer to reach Turkey. This can be very exhausting. What can also be even more tiring is travelling in a large group at the same time or with families with children. It’s not easy. As a result, an easy access airport with minimal transfer time is a great benefit before embarking. There are four main harbours that a very good majority of yacht charters in Turkey begin and end. These are Bodrum, Marmaris, Gocek and Fethiye. Below you will see the differences in transfer times as well as the airports that serve each harbour. Dalaman Airport serves transfers to Gocek (20 minutes); Fethiye (40 minutes); and Marmaris (1 hr. 15 minutes). Milas Airport serves transfers to Bodrum (40 minutes). Not all yachts and gulets are available from any port. Each charter yacht has its own base port. As such these yacht charters’ first choice would be to start and end their weekly charter trips from their home base. However, this can change during a booking season too. A client may wish to start from the base port, but due to their travel plans, end their charter trip to another port. So what this becomes is a different starting port for the following charter tour – instead of the base port. Choose your yacht, then the route – which then determines the best ports to embark from on your blue cruise. Choose your port, then choose the boats that are available to embark from there, and work out your itinerary. Choose your itinerary, then choose the boats that can serve that particular route. 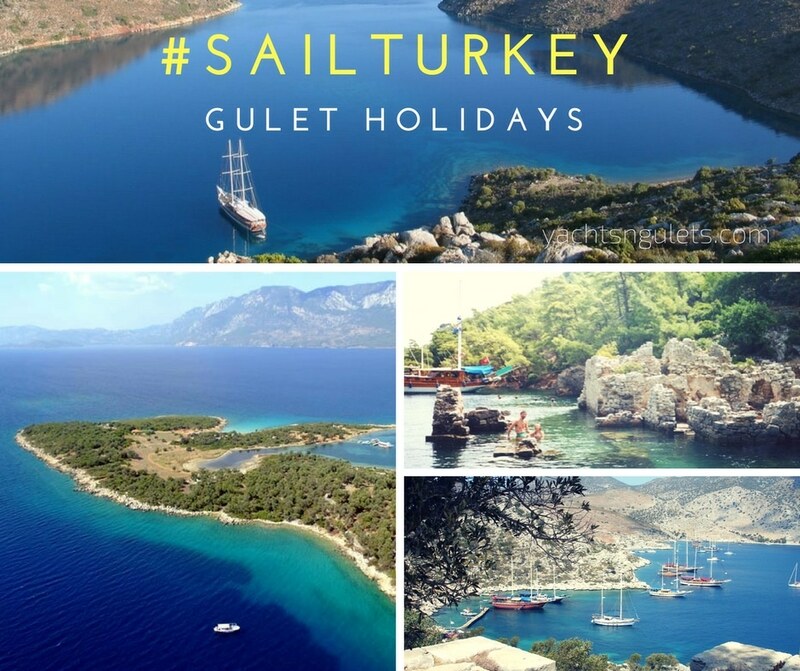 So in essence, the best ports to start a boat charter holiday in Turkey, depend on your preferences and narrowing it down to the best choices based on this information… for a fantastic holiday in Turkey’s turquoise coast!